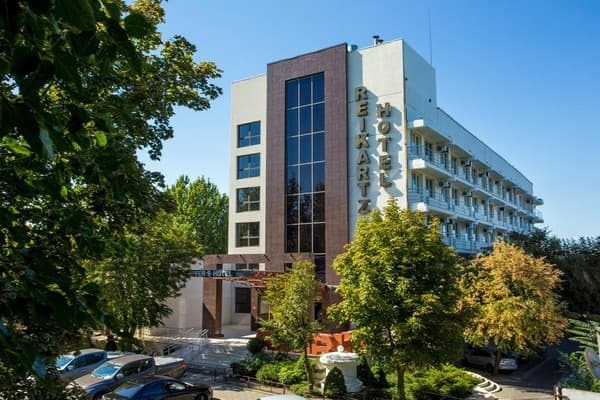 "Reikartz River Nikolaev" is a hotel of business class, which is situated in the centre of Nikolaev - in the historic part of the city (Yacht-club) with a calm and cosy view to river Pivdenny Bug. Hotel "River-Hotel" welcomes its visitors cordially. 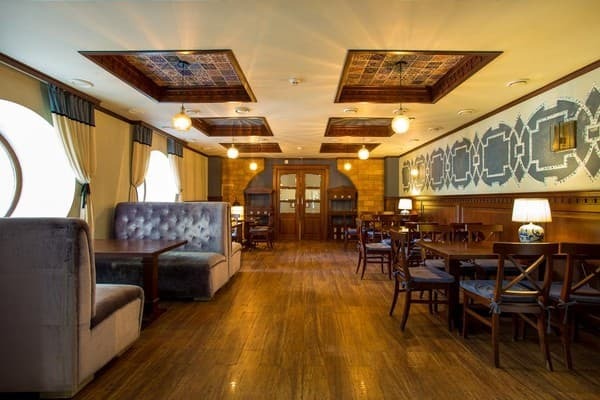 At your service there are comfortable rooms, spacious conference-halls, restaurant, bar, barbar`s saloon, massage cabinet, parking lot. 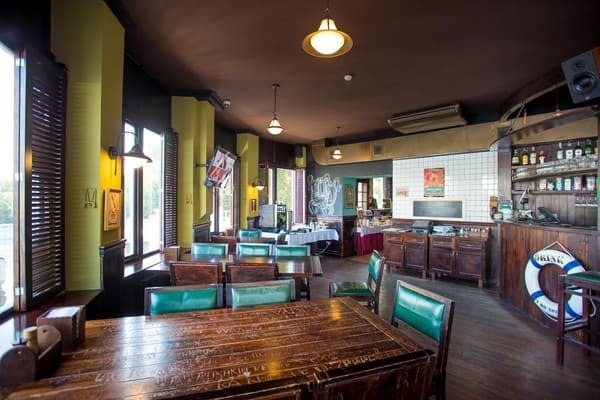 The bar and the hotel hall has Free Wi Fi Internet Zone (free Internet). We hope that the high level of given hotel services will make you happy. Description of the room: One room with a single bed (900 * 2000). Area of ​​the room is 17 sq.m. Description of the room: One room with 2 single beds (900 * 2000) or 1 double bed. (1600 * 2000). 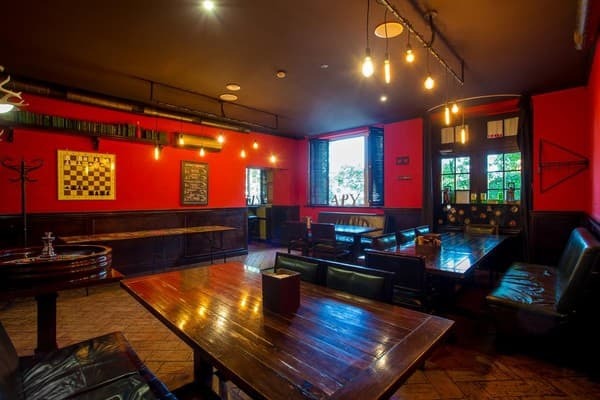 Area of ​​the room is 17 sq.m. Description of the room: One room with a double bed (1600 * 2000). Area of ​​the room is 17 sq.m. Description of the room: Two-room suite with a double bed. Area of ​​the room is 35 sq.m. Гостиница достойная. Приятно радуют примыкающие рестораны с хорошей кухней и прекрасным видом! For accomodation of children under 12 without a need for a place the fee is not taken. The accomodation of children from 2 to 12 is free of charge. 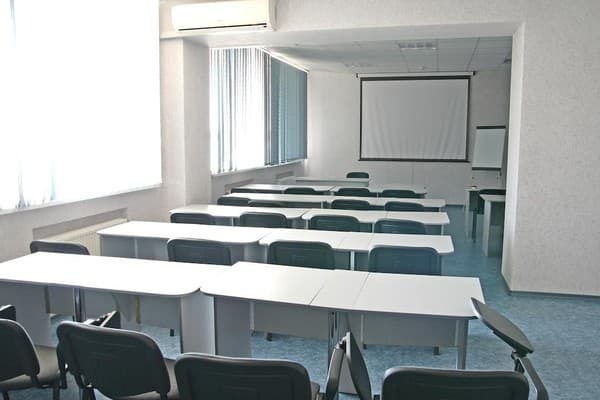 Extra place in a single room of a category "standart" is 50,00 Uah. 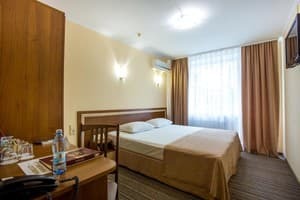 Extra place in a single room of "half delux" category - 70,00 Uah. 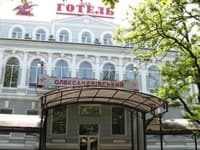 Extra place in a single room of category "de lux" - 100,00 Uah. Extra breakfast - 30,00 Uah. The hotel has a restaurant. The working hours are from 11:00 to 23:00. Hotel is situated in the centre of Nikolaev - in the historic district of the city (Yacht-club) with calm and cose view to river Pivdenny Bug. The distance from Nikolaev railway station to the hotel - . The drive by fixed-run taxis №21,8,88 to the station "Sports complex "Nadezhda"", move towards regional Yacht-club, to Sportivnaya Street 9. The distance from Nikolaev bus terminal to the hotel - . The drive by fixed-run taxis №21, 8, 75, 37, 30, 31 to the station "Sports complex "Nadezhda"", move towards the regional Yacht-club, to Sportivnaya Street 9.